Archives of the Irkutsk Region Federal Security Bureau. File 5541, L. 138. SACHIR (State Archives of Contemporary History of the Irkutsk Region). Fund 123, Inv. 4, File 12, L. 108. SACHIR. Fund 123, Inv. 4, File 77, L. 108. SACHIR. Fund 123, Inv. 4, File 83, L. 27. SACHIR. Fund 123, Inv. 4, File 152, L. 47 rev. SACHIR. Fund p-2802, Inv. 1, File 1, L. 6, 120. SACHIR. Fund p-2802, Inv. 1, File 5, L. 1. SACHIR. Fund p-2802, Inv. 1, File 6, L. 4, 5, 22. SACHIR. Fund p-2803, Inv. 1, File 5, L. 1, 8 rev. SACHIR. Fund p-2803, Inv. 1, File 6, L. 45. SACHIR. Fund p-2803, Inv. 1, File 7, L. 5, 11 rev, 12, 36. Vlast’ i khudozhestvennaya intelligentsiya [The power and artistic intellectuals]. (1999). Proceedings from Central Committee of the CPSU(b) – AUCP(b), – AREC – USPD – NKVD on cultural policy. 1917-1953. Moscow: MFD. Za tvorcheskuyu rabotu! [For a creartive work!] (1932, May-August). Budushchaya Sibir’, 3, 111-112. LISITSINA, Yana. Soviet Union, but Without the USSR. 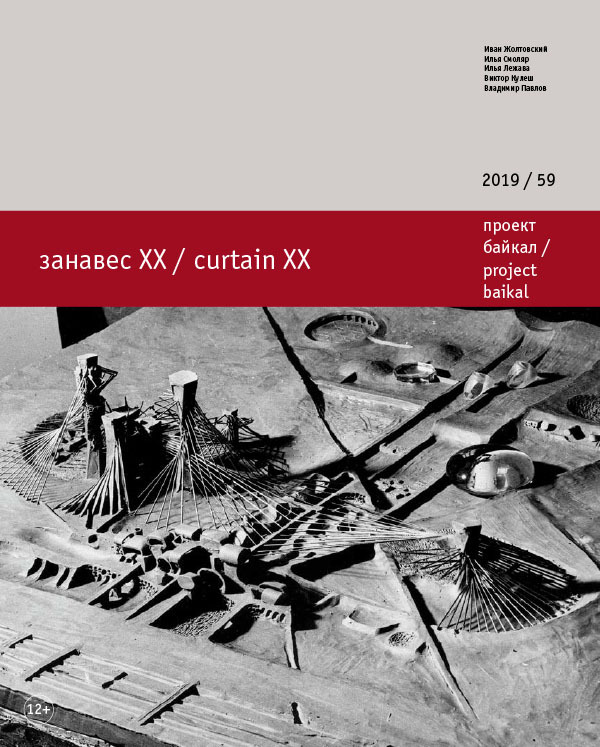 project baikal, Russian Federation, n. 59, p. 106-110, mar. 2019. ISSN 2309-3072. Available at: <http://www.projectbaikal.com/index.php/pb/article/view/1440>. Date accessed: 22 apr. 2019.